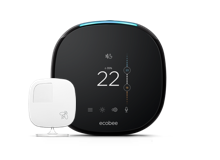 ecobee customers want to do more than just save on their energy bills. They want to make a difference. That’s why we’re excited to announce the launch of something new: Donate Your Data. Donate Your Data is a new way for ecobee users to make a difference. In this first-of-its-kind program, users can now voluntarily contribute their home data to help advance energy efficiency research. When a customer opts in, their anonymized ecobee data will be shared with leading academic, governmental and NGO partners across North America helping to advance sustainable home and community design. The program creates a totally unique collaboration of company, customer and the scientific community. This is the first blog in a three-part series, featuring key folks who helped make this idea a reality. 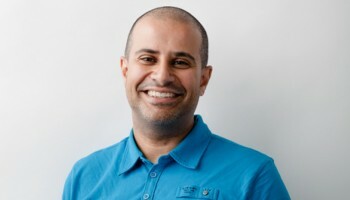 In our first story, we hear from Hesham Fahmy, VP of Technology at ecobee. What would you tell our customers about using data-sharing to advance research? HF – We live in an increasingly connected world. We are sharing information all day long. While data-sharing may sound scary, when done right, it’s can be safe and it can also be immensely beneficial. When we built Donate Your Data, we wanted to find a way to unlock the intelligence that data can offer and still protect what’s important to people – their privacy at home. Most companies don’t involve their customers enough in that idea but we’re ready to start. It’s time more businesses started using data to do good. 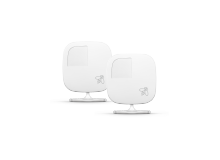 What kind of data does ecobee collect and how will it be shared? HF – Customers can feel totally comfortable volunteering to participate. 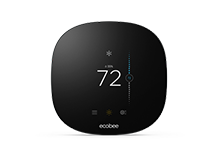 Donate Your Data will share a pared down version of the data collected by a user’s ecobee thermostat today. That includes basic home details such as home age, size and number of occupants, as well as regular reporting on indoor and outdoor temperatures and usage. Together, the data set will paint a picture of how people heat and cool their homes day-to-day and how things can change over time. User records will be anonymized and shared securely with official Research Partners of ours. Why should people get behind this idea? HF – This is the role of new business. Gone are the days when corporations think and act autonomously. ecobee is as much a part of this world, as are our staff, our partners and our customers. Business can and should benefit more people than just shareholders. We genuinely believe that. The journey to a clean energy future isn’t just about ecobee and the thermostats we make, it’s about all of us working together. I think our customers get that and will join us on this journey. HF – This is just the beginning! Over the coming months, we will be actively engaging our customers and building research partnerships. In a few months we will publish the first-ever customer-led home heating and cooling data set. Once it’s in the research community’s hands we’ll get to see what kinds of projects it inspires. Visit Donate Your Data to learn more. To participate, just look for “Donate Your Data” in the main menu of your personal ecobee portal.